It’s a shame that the Coen brothers haven’t gotten more love on this site since its inception. Other than a few mentions here and there, the only real attention they’ve gotten was in our In Case You Missed It Review of Barton Fink last January. Regardless, the Joel and Ethan Coen are fan favorites here at Cinema Smack. Films like The Big Lebowski, O Brother, Where Art Thou?, and Burn After Reading are a pure joy to watch. 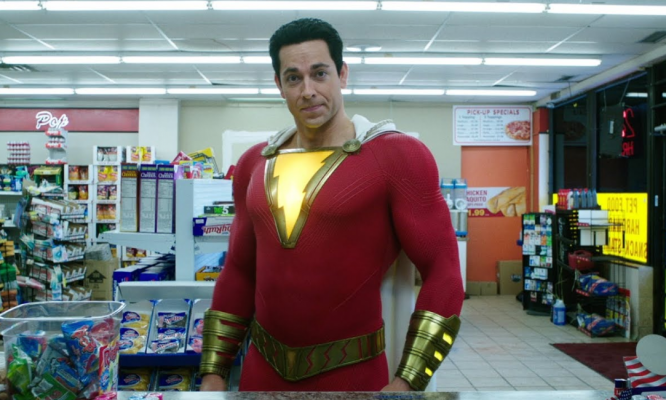 Whenever a new film from them is set for release, it feels like a treat. This time around, though, we receive something of a mixed bag with the Netflix release, The Ballad of Buster Scruggs. The film is different than previous work from the duo as it’s actually a six part western anthology. It’s also the first time they’ve partnered with Netflix for distribution. Though, the film did receive a brief theatrical run before its release. Originally, it was rumored to be a television series. However, the brothers have denied this saying that it was always meant to be a feature. The film opens with a shot of an old, bound book containing the six individually named stories within. The titular “Ballad of Buster Scruggs” sees the San Saba Songbird, Buster Scruggs (Tim Blake Nelson), as he strums a guitar and sings his way while traveling to a local establishment. Here, he displays his crazed gunslinging ability in addition to his happy-go-lucky attitude. In “Near Algodones,” a young cowboy (James Franco) continuously finds himself with a noose around his neck and luck, seemingly, on his side. “Meal Ticket” mixes up the tone as an Impresario (Liam Neeson) lugs around his limbless Artist (Harry Melling) as their crowds and profits dwindle. 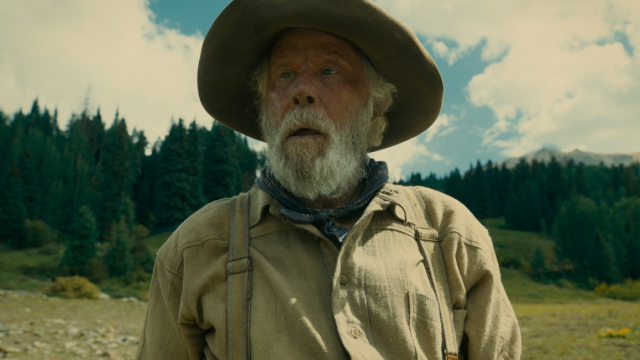 In “All Gold Canyon,” Rock and Roll Hall of Famer Tom Waits stars as a grizzled prospector searching for gold in a beautiful valley. 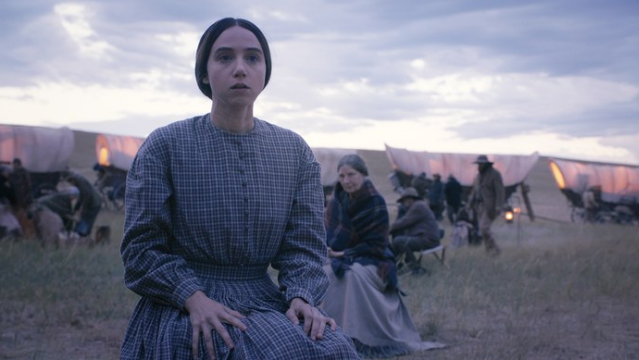 The film even takes us on a trip on the Oregon Trail in “The Gal Who Got Rattled.” Alice Longabaugh (Zoe Kazan) loses her brother, Gilbert (Jefferson Mays), to cholera and is unable to fulfill his debts as she continues west. Finally, “The Mortal Remains” sees five people sharing a stagecoach ride where they discuss personal philosophies. To describe each segment in detail would be a disservice to the film. In classic Coen brothers fashion, there’s a quirkiness to each story but it’s not needless. They always have something to say no matter how strange their means of conveying the message may be. While The Ballad of Buster Scruggs is not their first western as both No Country for Old Men and True Grit came before, it’s definitely their most playful. Like much of their other work, Buster Scruggs is full of witty humor and surprises. There’s also the fatalism that seems to surround nearly every Coen release. No matter what the characters do onscreen, the events are already set into motion and there’s no changing them. Characters and their motivations never beat out their respective fates. Speaking of characters, the cast of The Ballad of Buster Scruggs is excellent. Surprisingly, many frequent collaborators are not around for this film. Actors like George Clooney, Frances McDormand, and John Goodman are noticeably absent. Though, this makes room for others like Liam Neeson and James Franco. Specifically, Tom Waits is a standout in his segment, “All Gold Canyon.” Due to Waits’ penchant for creating his own strange and quirky art, it’s kind of surprising that this is the first time he has collaborated with the Coens on film. It’s definitely a match made in heaven as Waits has proven himself to be a good actor in films like Down By Law, Bram Stoker’s Dracula, and The Imaginarium of Doctor Parnassus. In addition, Zoe Kazan, who was very good in 2016’s The Monster, delivers as the timid and gentle Alice Longabaugh. Past Coen collaborator Tim Blake Nelson also serves as a highlight as the title character. He’s more in line with a live action cartoon than some of the film’s later characters and stories. One thing that’s always up to snuff on every Coen brothers film is the cinematography. Longtime Coen cinematographer Roger Deakins sits this one out and Bruno Delbonnel takes over duties. This isn’t the first time that this has happened as Delbonnel was also the cinematographer on the duo’s 2013 film, Inside Llewyn Davis. Either way, the look of the film is wonderful and varies from segment to segment. 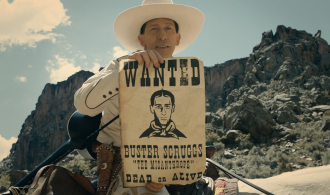 The introductory “Buster Scruggs” is reminiscent of 2016’s Hail, Caesar! as it looks like it’s shot on a soundstage. Scenes with Caesar‘s Hobie Doyle (Alden Ehrenreich) come to mind immediately. In “Meal Ticket” and “The Mortal Remains,” there’s much darker imagery and almost a horror vibe to the cinematography. Both “All Gold Canyon” and “The Gal Who Got Rattled” take on a more traditional western look and provide sprawling landscape shots that are basically works of art. For fans of the Coens, most of these things are not surprising in the least. Joel and Ethan are, arguably, two of the best filmmakers on the planet and this isn’t their first go-round. 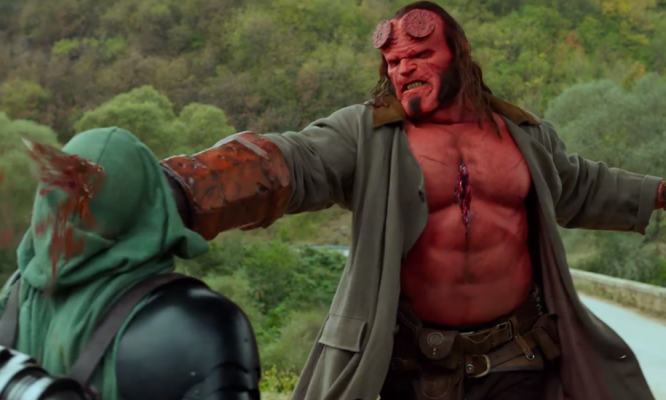 However, this is the first film in a long while that hasn’t felt up to par with their previous work. While a film like No Country For Old Men may differ greatly from something like Hail, Caesar! in tone, there’s always something ridiculously entertaining about their work. With The Ballad of Buster Scruggs, the tone feels a little up and down. It goes from the cartoony nature of “Buster Scruggs” to the drab, peculiar, and almost David Lynch-ian “Meal Ticket” before concluding with the Tim Burton-esque “Mortal Remains.” Being an anthology film, the variation isn’t surprising but, when there’s a lull, it sadly feels like a lull. At times, it feels like there’s too much start and stop. 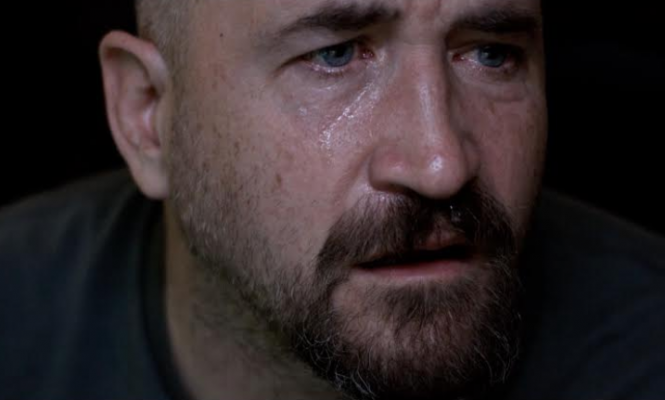 In addition, the film is over two hours long which may be a little much for an anthology. Yes, there are six parts but if one or two were cut out, the film would be tighter overall. Regardless of any shortcomings, fans of the Coen brothers will, of course, be accepting of The Ballad of Buster Scruggs. In some ways, it’s exactly what you’d expect and, in others, it’s completely different. The film is an interesting experiment if nothing else and there’s no doubt that there’s a lot to discuss. When you dig deeper into each of the stories, there’s a lot of overlap in ideas and a definite link pulling them all together. In all honesty, The Ballad of Buster Scruggs may be a film that needs repeat viewings to fully grasp everything the Coens were trying to accomplish. It may not be their best work but it’s certainly a conversation piece that may grow on viewers with subsequent watches.